Earlier this month, our #IStandWithGaza project got off to a great start when we took our “Instant ISWG Photo Booth” to the recent “No to NATO, Yes to Peace” festival in Washington DC. Despite being ridiculously understaffed, we set up, took, and shared nearly 40 photos of festival-goers holding up their “#IStandWithGaza” signs. Participants in the festival were happy to be able to publicly share their support for Gaza’s people, and the photos from the “booth” were tweeted out in near-real time, using the #IStandWithGaza hashtag. We’re now excited to be planning with our friends at Gaza City’s Center for Political and Development Studies for them to mount an exhibition of these photos in the near future, so that Gaza’s people can feel the love our booth participants sent to them. 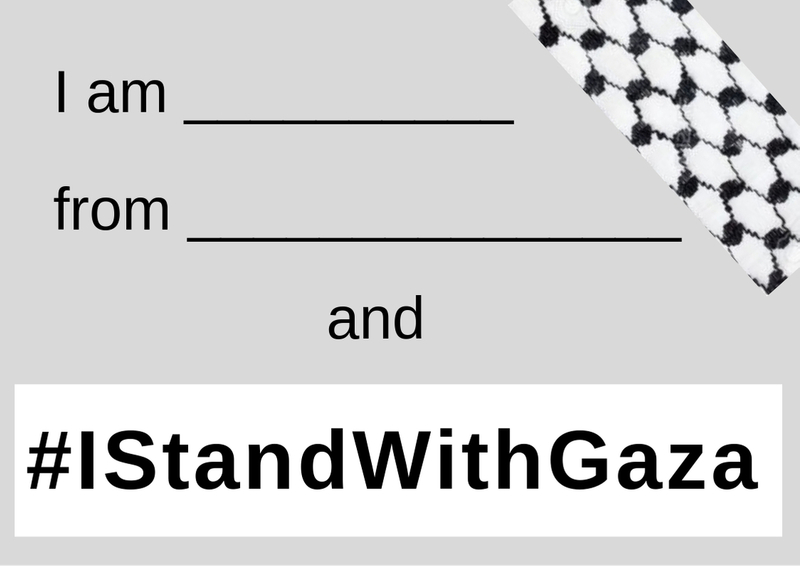 We invite all lovers of rights and equality from around the world to join this #IStandWithGaza project. 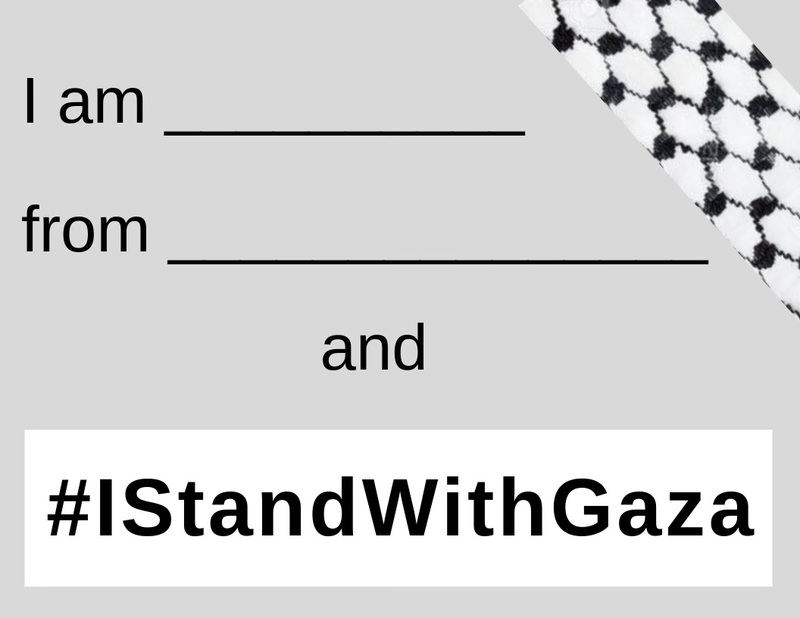 Simply download the image of your choice (in US Letter size, or A4 size), print out a few copies to share with friends, take the photos with the backdrop of your choice, and tweet them out with the #IStandWithGaza hashtag!